Take a trip back when Eggman was still using robotic Sonics. Here is where the story of Equinox begins to unfold and showcase one of Sonic's greatest rivals. 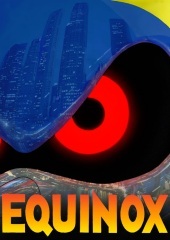 Read through the creation and hunt for the greatest metal Sonic robot ever created. Equinox takes a new twist on an old tale.